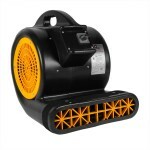 Perfect for quick and complete carpet drying after flooding. The best way to cool large areas in and industrial environment. Use your Air Mover exactly where you need it most, we also have a wide selection of filters available..
For the workplace, the gym or at home. We're certain to have what you're looking for.